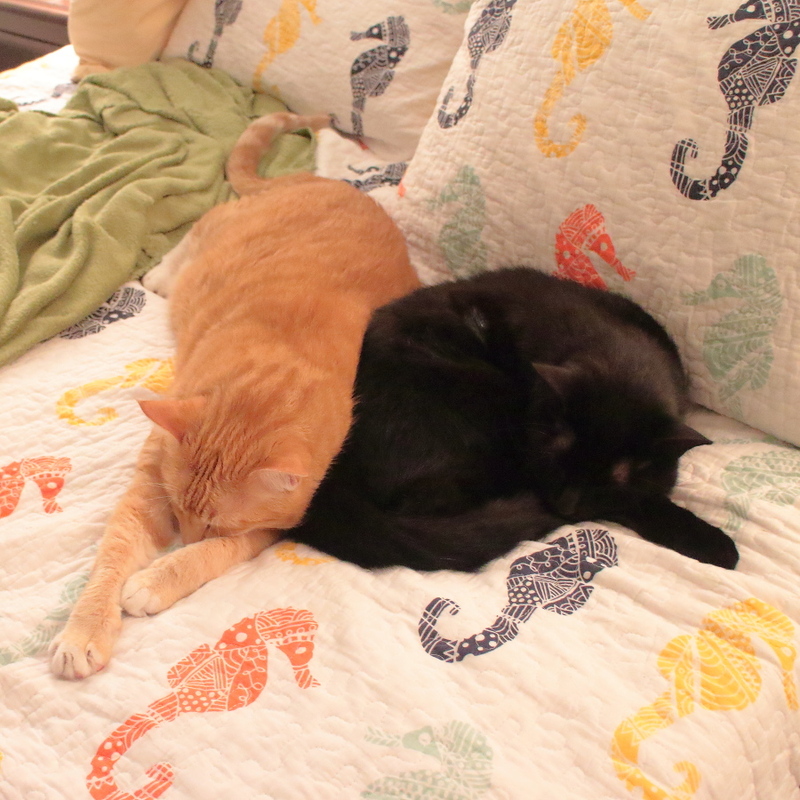 Having all three cats together like this is a longshot. I should have placed a bet. 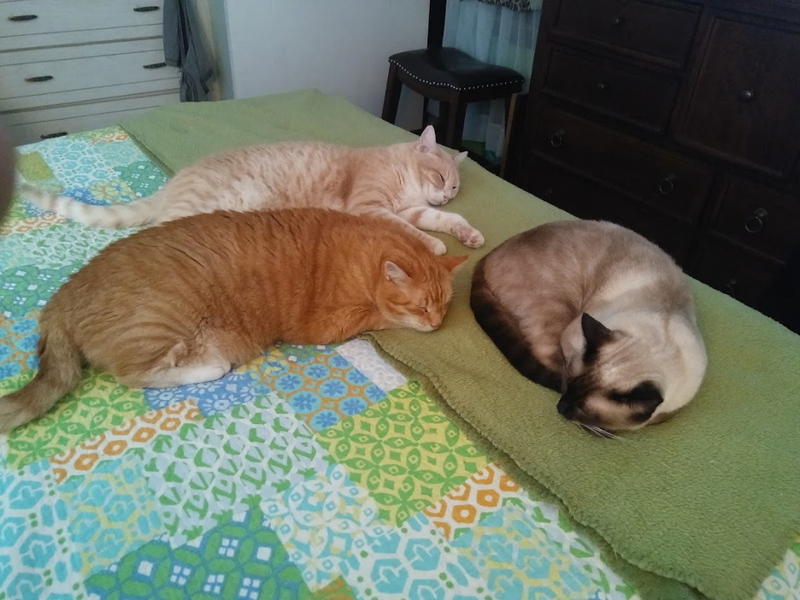 This entry was posted in Uncategorized and tagged Cats, cute, ginger, gol, group, Siamese on June 1, 2018 by Charles Huss. Our china cabinet started out as Chris’s domain. He was the only one able and willing to leap to the top from the sofa. Since he has gained weight, he no longer jumps up there. Puck has taken over as chief overseer of the china cabinet. Puck can’t jump up there without help. He waits for me to walk by and gives me “the look” and a whisper of a meow and I know exactly what he wants. I lean over and he jumps on my shoulders and I walk over to the cabinet where he jumps up. Frankie is the only cat that can get on top of the cabinet without help. Sometimes he gets up there but mostly he doesn’t care about it too much. Floki is like Puck and he uses me to get up there. I try to avoid letting him up on the cabinet when Puck is there because I know Puck is up there for peace. 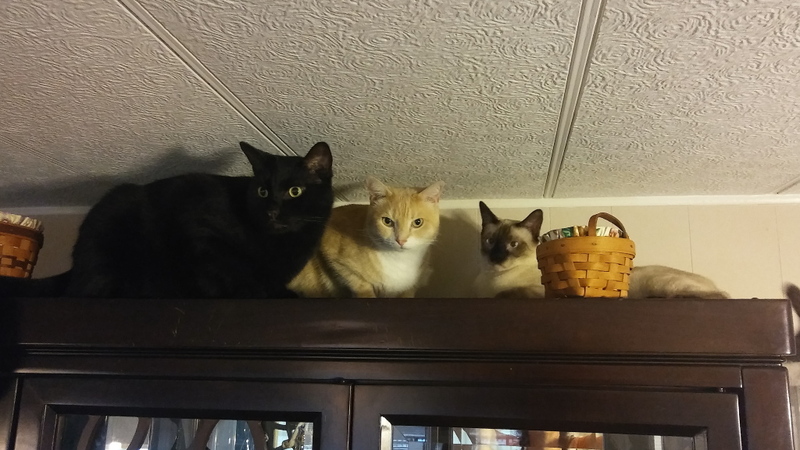 Usually, though, Puck being up there gets Floki interested in being up there. The other day Frankie was riding my shoulders and decided to get off on the China cabinet. Puck saw him and then he wanted to get up there. That got Floki interested and I figured, why not? I helped Floki up and everyone seemed to get along. I think they were having a meeting, possibly planning to oust Chris as the alpha. I don’t know where Chris was, probably napping somewhere. Whatever plan they came up with didn’t work. Chris is still the boss. 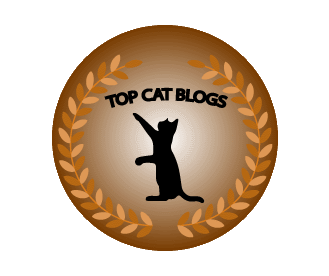 This entry was posted in Uncategorized and tagged cabinet, Cats, cute, group on June 9, 2017 by Charles Huss. 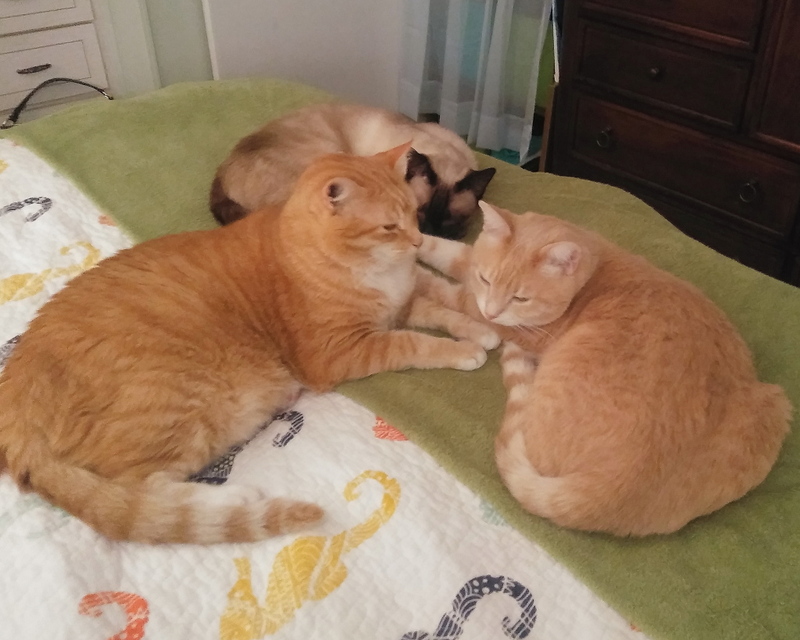 It is rare to get a photo of three of our cats playing nice. 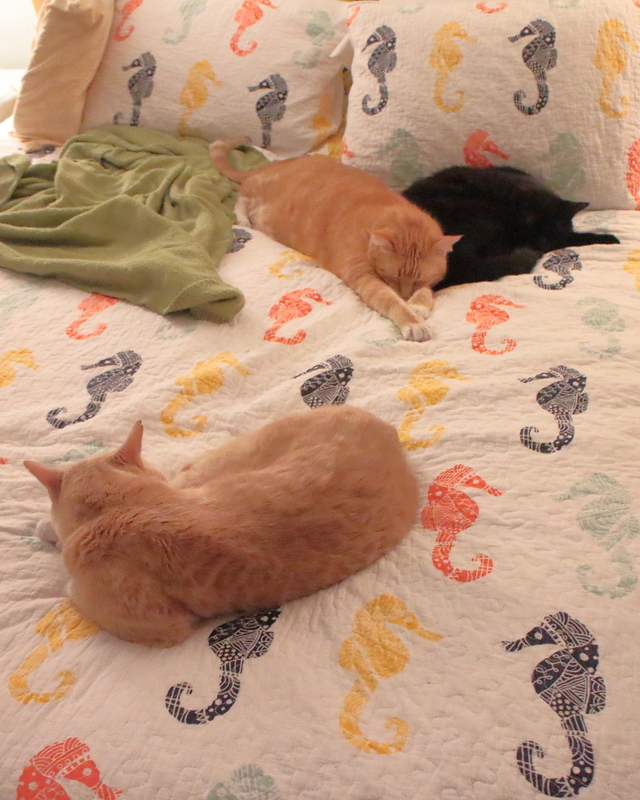 Photographing all four together like that would be like capturing a flying unicorn alongside his pet dragon. 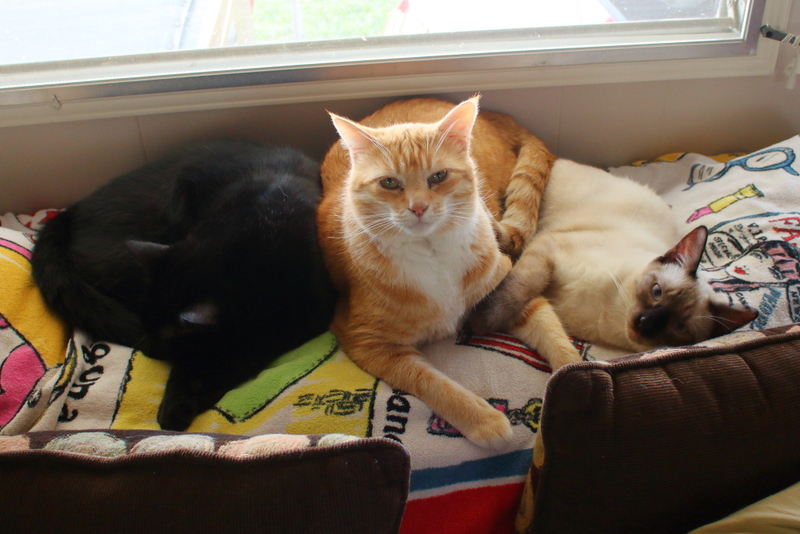 This entry was posted in Uncategorized and tagged black siamese, Cats, cute, ginger, group, kitten on December 9, 2016 by Charles Huss. 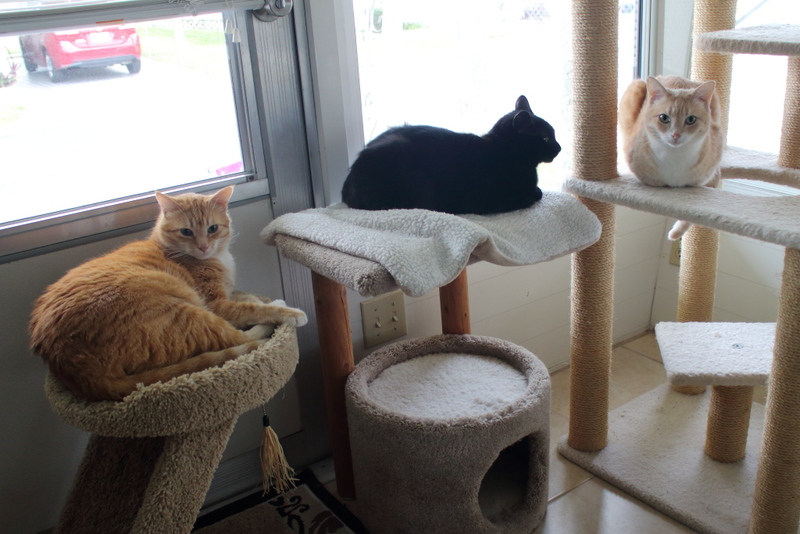 I don’t usually get a picture of all three boys in the same place. Usually, if I notice it, I will reach for my camera or phone and by the time I turn it on and focus, one of them decides it’s time to go. That is what happened last night. I was trying to help a Rose with a work project and all three were on the table helping me. As soon as I got my phone out, Frankie left. 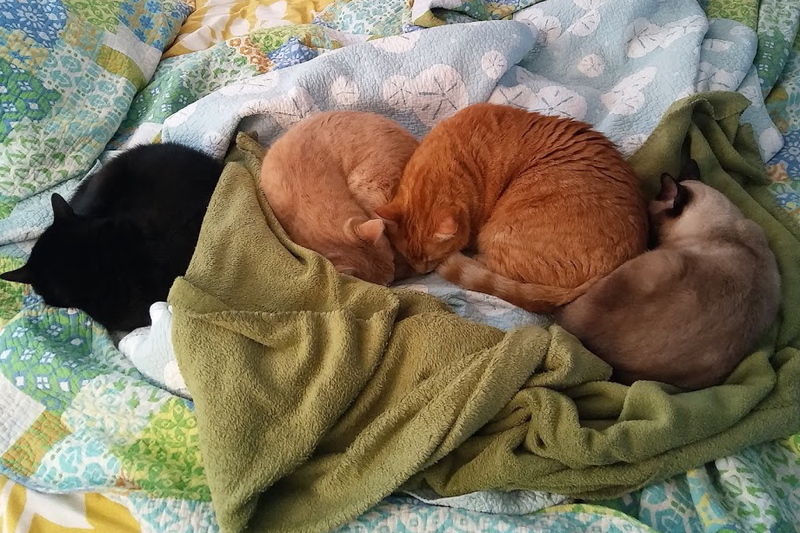 This entry was posted in Uncategorized and tagged Cats, cute, group on April 1, 2016 by Charles Huss. 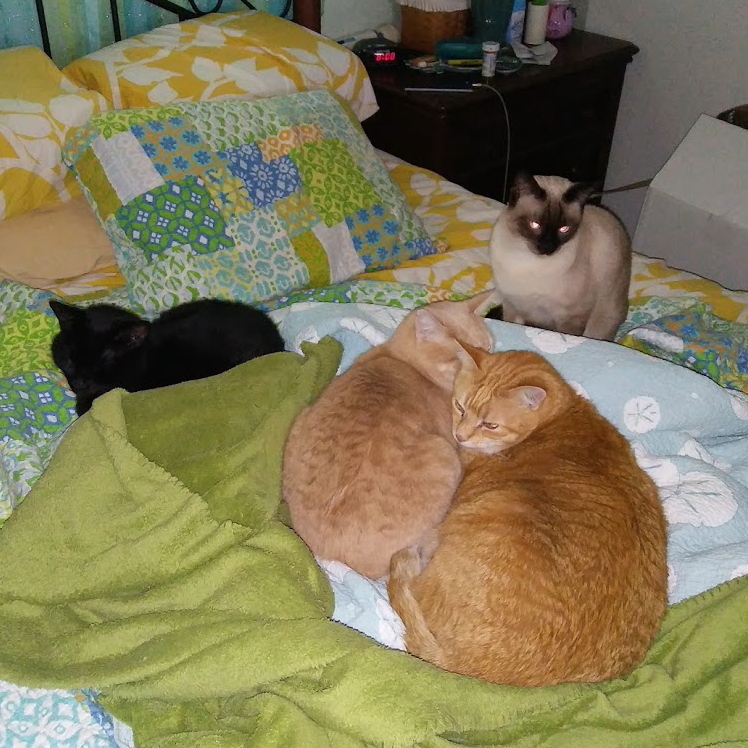 It is very rare that all three cats are lying close enough to get them in one picture, so when they are, I feel like I have to share. 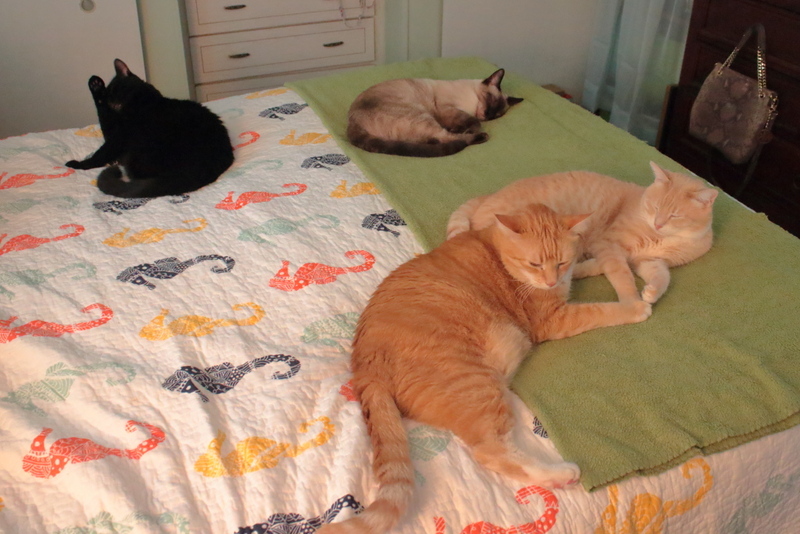 This entry was posted in Uncategorized and tagged Cats, cute, group on January 9, 2015 by Charles Huss. Frankie has about a half-dozen “favorite” places that he likes to nap. One of them is on the patio blocking the cat door. 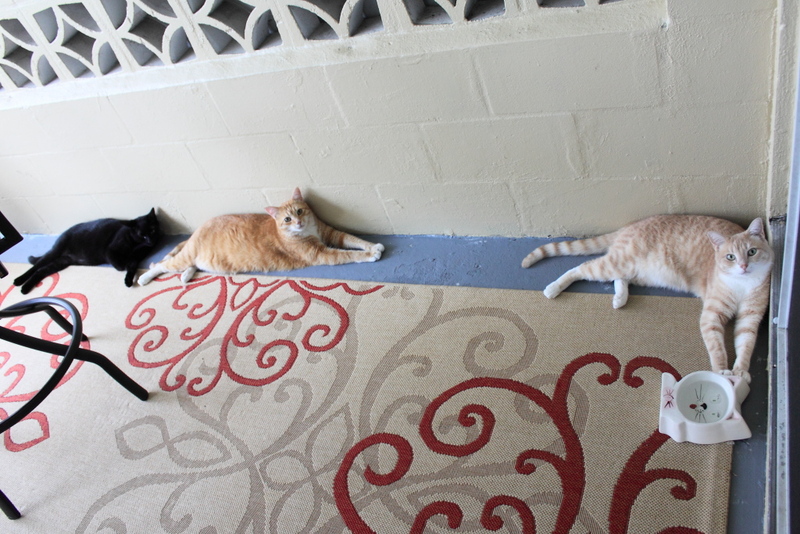 Recently Chris and Puck decided to join Frankie and they all lined up against the wall. 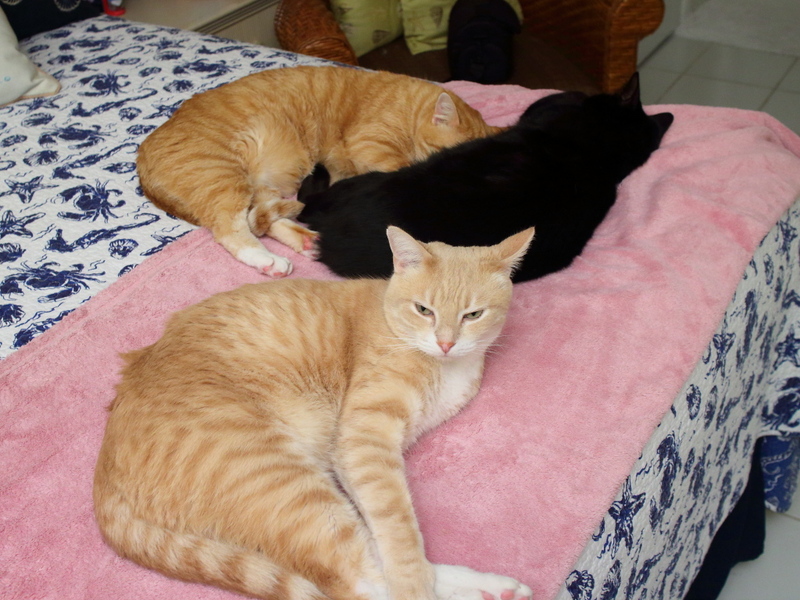 This entry was posted in Uncategorized and tagged against the wall, Cats, cute, group, Patio on August 29, 2014 by Charles Huss.